The biggest reason teachers report for NOT liking cloud accounts has nothing to do with money, security, or privacy. It’s that they aren’t reliable. No matter how many redundancies are in place, if a student can’t access their cloud storage for a project they’re working on, if a teacher can’t get to lesson plan resources, or if a student started a project at school and can’t finish it at home, the excitement of learning melts away like ice cream on a hot day. I remember when web-based tools first arrived (yeah, that long ago), As good as they sounded, I insisted my IT folks install computer-based programs for when the Internet didn’t work or the school’s network lost its connection. It seemed the only reliable programs were those loaded onto the local computer, not floating around in the cloud. Fast forward to today. Schools have moved many of their educational resources to the cloud. This might be to save money on maintenance or to make them accessible from anywhere or any number of other great reasons, but the change isn’t without its own set of problems. In particular, in the area of files and documents, there’s a rebirth in the popularity of Portable Document Formatted books and resources, commonly referred to as PDFs. While not perfect for every situation, they are exactly the right answer for many. PDFs work on all digital devices, all platforms. No worries about whether they run better in Firefox or Chrome, Macs or PCs (or Chromebooks or iPads), Windows or MacOS (or Linux or iOS). They work on all of these as well as almost all others. With a free PDF reader (like Adobe or hundreds of others), students can open and get started right away. Even if they’re school system is a Mac and their home is a PC, the PDF (with or without annotations) opens fine. Unlike print books and many ebooks, PDFs can be marked up and then erased at the end of the school year. Using a PDF annotation tool like Kami for Chromebooks or Adobe Acrobat for pretty much any digital device, you can take notes throughout the year for review or reminders. Many annotation tools (like iAnnotate and Notability) include options to highlight, underline, add text or handwritten notes, and can incorporate audio files, images, and more. The PDF is saved with all the notes and shared to anyone, making it more universal than most other note-taking tools. PDFs are always available. If the Internet is down, if the host website gives you a 504 Gateway error, if you have no WiFi or Internet at home, your PDF will still open (assuming it’s saved to a working digital device). This means more students can access and complete homework created as PDFs. PDF readers are free and adaptable to most digital devices (actually, I can’t think of one it isn’t adaptable too but absolutes scare me). That means whatever the family chose as their computing solution, whether it matches the schools or not, is likely to open school resources created as PDFs. Parents don’t have to buy a separate tool, install software, enroll on a website, register with a username and password, or learn a new webtool. They simply click on the document and it opens. It’s important to note that PDFs are also equitable for vision-challenged readers. Most PDFs offer text-to-speech options or work with text-to-speech tools, meaning those students can still hear the text in the way best suited to their needs. When the owner of your favorite webtool decides to change access rules or stop supporting the program that your document runs on, you’re shut out of documents created in their format. That doesn’t happen with PDFs. You own the software. It’s non-proprietary, and there are lots of PDF alternatives to choose from. Because it’s software, no website is required to open a PDF. Students double-click an icon on their computer to open the resource. If it’s stored on a website (or an LMS), students download to their drive with no loss of access, tools, or privileges. If your class is like mine, students have a long list of passwords required for a wide variety of classroom tools. Because PDFs are housed on the local drive (the student’s personal computer), there is no login required, no password to be forgotten. You may protect the file with a password, but that’s a topic for a different article. Users can print a page, a selection, a highlighted paragraph, or the entire PDF. They can also save it in a variety of formats including MS Word and Google Docs. PDFs are intended to be universal, easy-to-use, and convenient. Printing is proof of that. Many PDF tools (like Adobe Acrobat) allow users to group related PDFs into a bundle that is transferred as one file. This can’t be done with MS Word or Google Drive (without transferring a file folder). With a PDF, the user accesses one document that can include a list of attached documents. Users can open these as needed or all at once in separate tabs on the PDF tool. If the PDF is of a printed book, the page numbers and layout matches the printed book and will include all of the graphs, charts, and images contained in the original document. PDFs are like a photocopy with no reformatting to adapt to a website’s quirks. If you are working in a mixed group, some with print resources and some with PDF, everyone will follow the same directions. This makes presentations simpler, clearer, and faster. The biggest detraction I find with PDF resources is this: Their simplicity confuses teachers. I offer a lot of resources as PDFs and I invariably get the question, “Where’s the log-in for the website that goes with these?” Because so much of what teachers use is web-based, it takes a moment to think that one through! In the end, classrooms run on a collection of tools, each one suited to a particular purpose. Include PDFs in that toolkit. Once it’s there, you’ll find lots of reasons why it is the best fit. 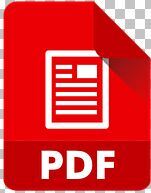 I need to convert from PDF to Doc–Does that work? Jacqui Murray has been teaching K-18 technology for 30 years. She is the editor/author of over a hundred tech ed resources including a K-8 technology curriculum, K-8 keyboard curriculum, K-8 Digital Citizenship curriculum. She is an adjunct professor in tech ed, Master Teacher, webmaster for four blogs, an Amazon Vine Voice, CAEP reviewer, CSTA presentation reviewer, freelance journalist on tech ed topics, and a weekly contributor to TeachHUB. You can find her resources at Structured Learning. She is also the author of the tech-thriller series, To Hunt a Sub and Twenty-four Days.